Pachycephala schlegelii Schlegel, 1871, Arfak Mountains, New Guinea. Three subspecies. English: Schlegel's whistler; French: Siffleur de Schlegel; German: Schlegeldickkopf; Spanish: Chiflador de Schlegel. 5.9-6.5 in (15-16.5 cm); 0.04-0.05 lb (19.5-24.8 g). Black head, throat, and wing and tail coverts; orange belly; and brownish mantle with yellow stripe. 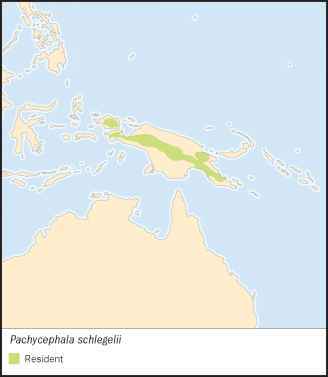 New Guinea from about 4,290 to 12,000 ft (1,300 to 3,500 m), mainly above 6,100 ft (1,850 m). P. s. schlegelii: northwest New Guinea; P. s. cyclopum: north central New Guinea; P. s. obscurior: central, east, and northeast New Guinea. Usually seen singly or in pairs. During display the crown feathers are raised and the nape feathers erected across back of the head. Gleans insects, spiders, and seeds. 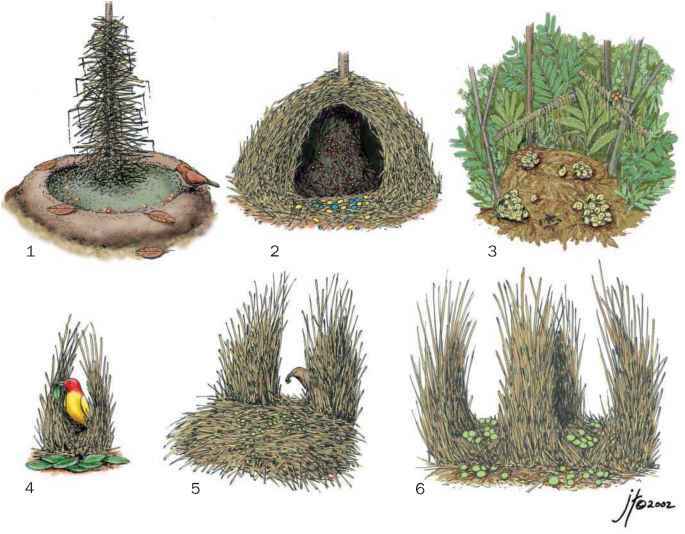 Nesting habits undescribed. Lays two white eggs spotted with black and lavender. Not threatened. Common to abundant in middle elevations and above, but scarce lower down.